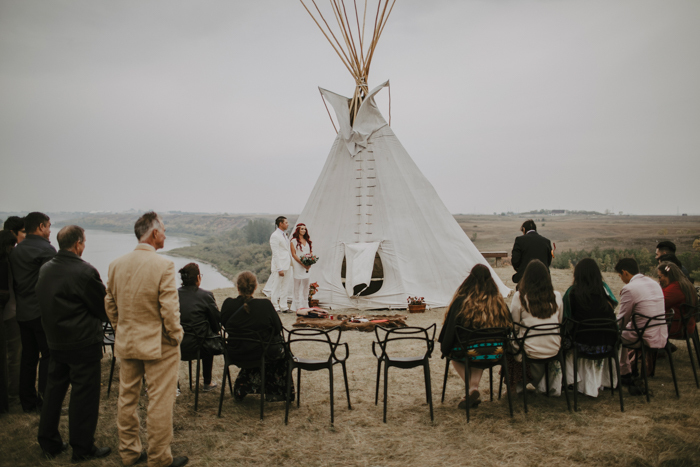 Angela and Cullan paid homage to their ancestors throughout their wedding weekend on the banks of the Saskatchewan River, this Ojibwe wedding was truly unforgettable, let’s take a look! 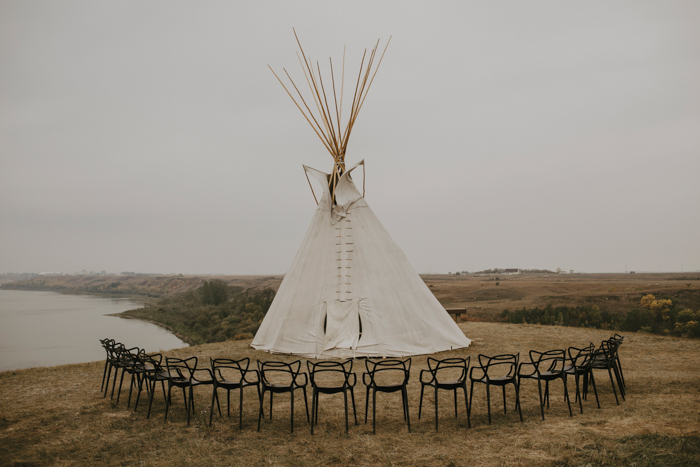 The couple’s ceremony took place within the sacred Wanuskewin Heritage Park and featured traditional Ojibwe wedding ceremony rituals performed by the groom’s father. 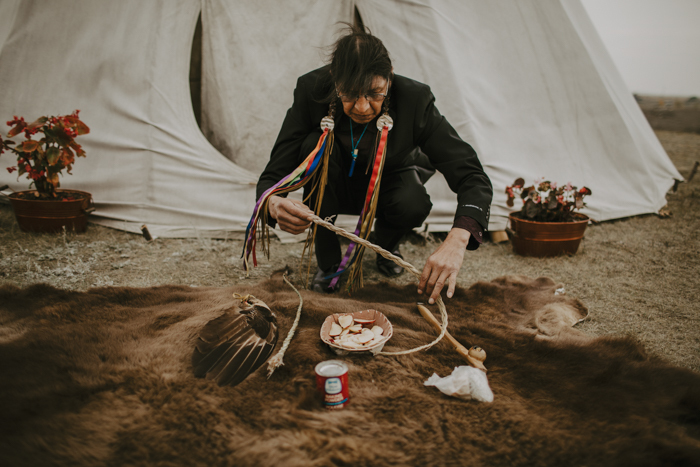 The next day, the couple took their guests to The Red Pony Stands Ojibwe Horse Sanctuary for a reception that stayed true to their wild, free-spirited vibes and included portraits with a revered breed of pony that has deep significance to Canada’s indigenous tribes. 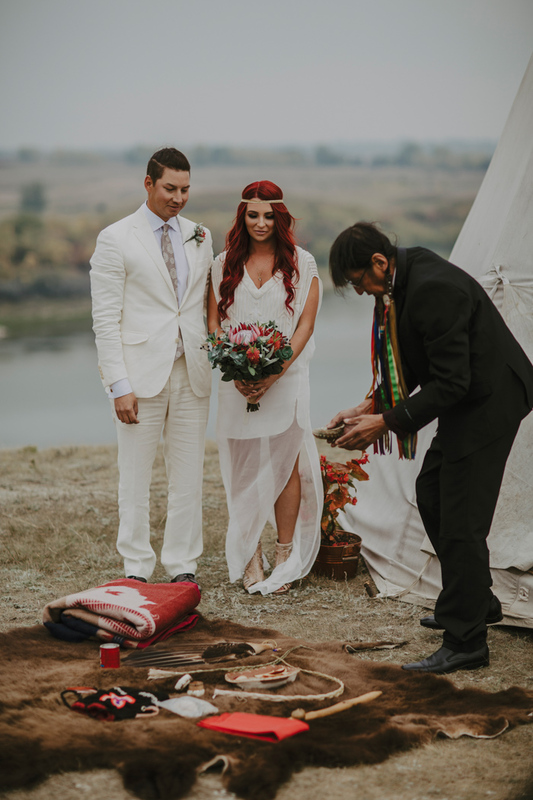 The wedding attire reflected both Indigenous and contemporary influences with intricate native-inspired beading on a sheath-style dress and a gold herringbone beaded headpiece for the bride, and bison-carved cufflinks and Ojibwe-style floral tie for the groom. 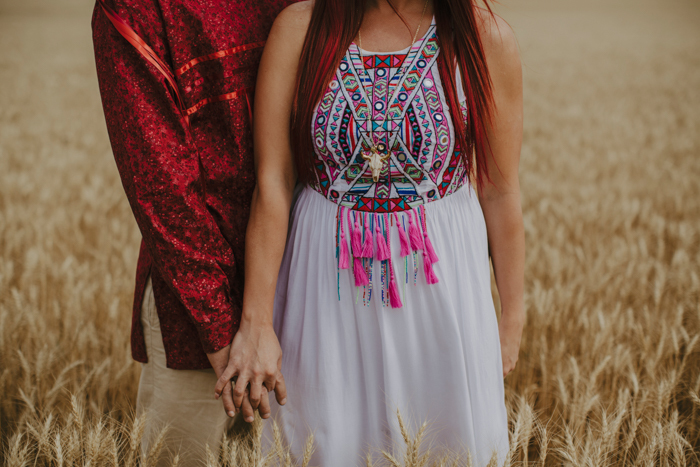 The wedding rings were woven into a sweetgrass braid by an Ojibwe metalsmith from a single gold strand and were presented in tiny Ojibwe-quilled birch bark basket during the ring exchange ceremony. 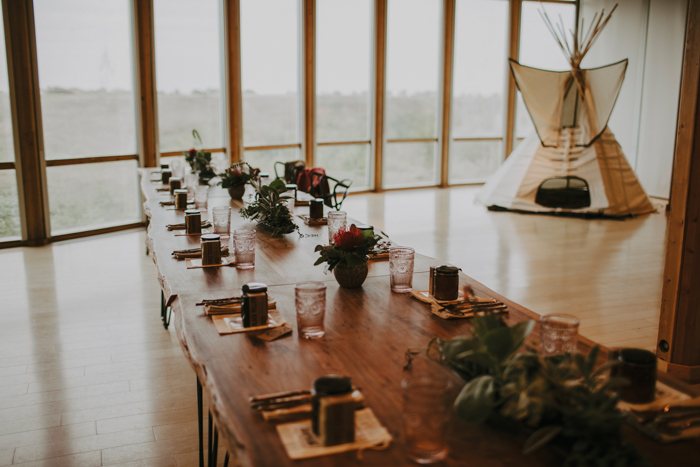 The wedding reception was held the following day at our acreage, The Red Pony Stands Ojibwe Horse Sanctuary. 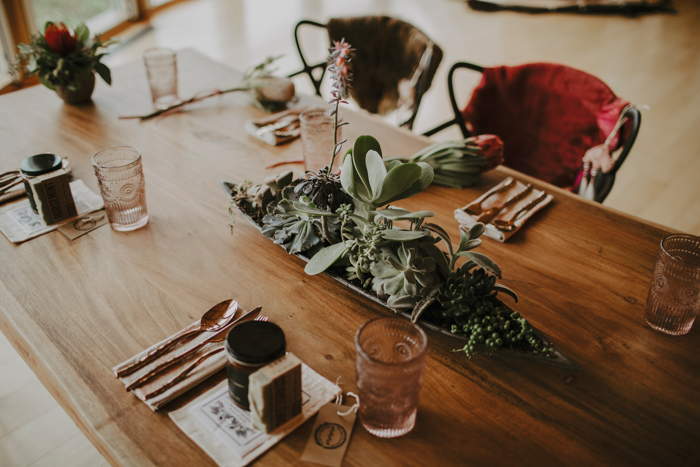 For an all-natural ambiance, all the guests received a tobacco and vanilla, oak and moss, or spruce and amber soy candle hand-poured in an amber-glazed mason jar with a canvas gift bag. Each candle was paired with an organic soap bar handmade with wild sweetgrass, desert sage, horsemint, or cedarwood plants. 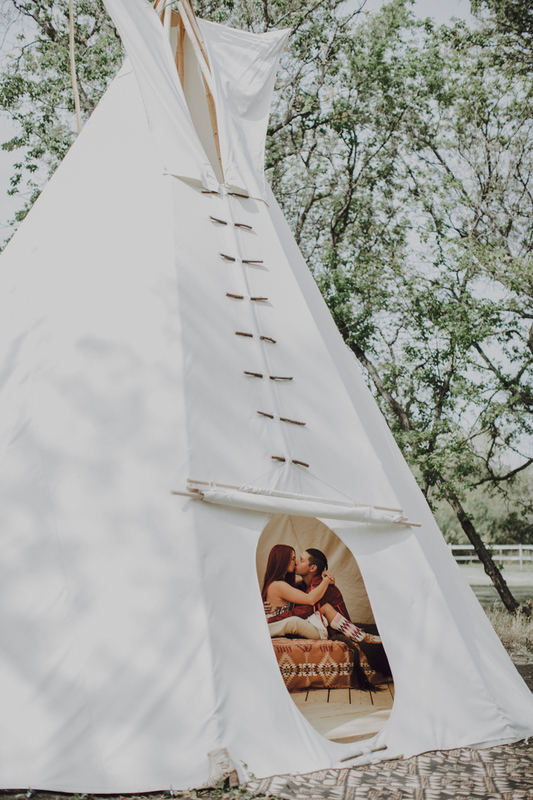 For the honeymoon, the couple stayed in our 20-ft Cree-style tipi under the warmth of a buffalo robe and fell asleep to the thundering hooves of the four-legged relatives.